A year on from my last post and how has life progressed! A baby who has turned one, who’s a toddler already and who has been enjoying cycling life since se was 6 months old. Come Christmas last year my husband and I had been in deep thinking for months about solutions to remain cycling as a family and not need to join the car-ownership-race again. After much ohhhhh-ing and aaaaaah-ing we took a little trip up to Lytham to see Practical Cycles to test some cargo bikes and we weren’t disappointed! What a selection. Think sweet shop but for bikes and cargo bike-enthusiasts. Much to our (pleasant) surprise we found the two wheeled Bakfiets the most comfortable, stable and nimble. My husband is 6ft and I’m 5’2” but the Long Bakfiets suited us both to a tee. These bikes are individually built in the Netherlands, so we had to wait a wee while but that made us the more excited for it. We received our beautifully Dutch orange Bakfiets in April and we haven’t looked back since. Our daughter loves it, rather the opposite for any car journeys and we have also done a fair bit of #quaxing! Carted plants, trees, DIY materials, two/three weeks worth of food shopping (this on a regular basis) and much more. My Pashley has also been fitted with a front mounted Bobike Mini seat with windscreen. Again with a big thumbs-up (or more naps-up!) by the little ‘un. Cycling makes for perfect naps, and mamma’s arm for a perfect headrest! 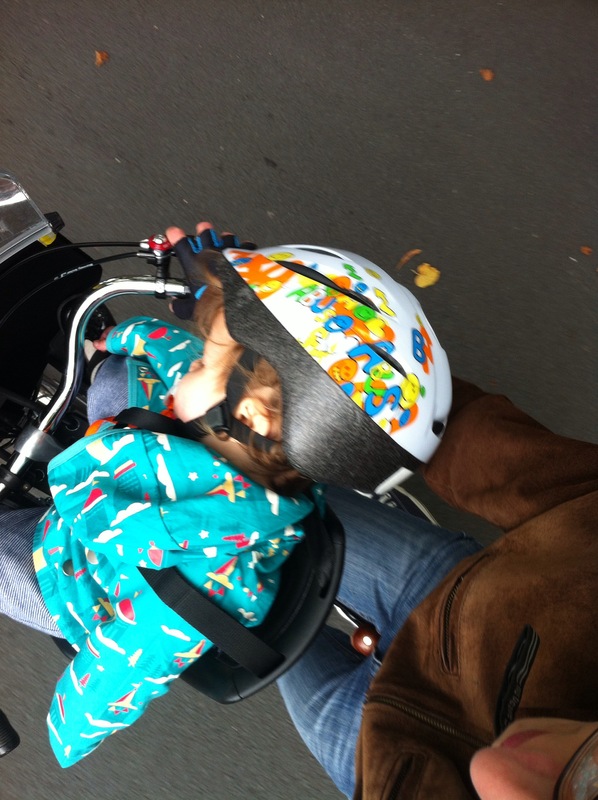 This blog will morph a little to provide a window into our family cycling and cargo life in Manchester, while remaining car free.